Not feeding your baby because it's "not time" is a terrible thing to do. Yeah, that is pretty terrible. Luckily, that's not what Babywise advocates. Your baby will never trust you! I would actually argue the opposite. By creating a routine and schedule with your baby, he knows exactly what to expect. Right when Duke gets up from a nap, he knows it's time to eat. Duke understands what happens every day and can trust me in that. It's too stressful trying to keep up with a schedule like that. Maybe in the beginning it can be a bit tricky. In my opinion, it provides order for my day so that I'm not stressed. I know that everyday, I get time to myself. And I know exactly when that time is. That, in itself, is a pretty good de-stresser. If your personality isn't one that loves schedules, I wouldn't totally rule out Babywise. The first couple months are tricky as you are adjusting to motherhood, feeding your baby around the clock, and functioning on no sleep. Babywise provides structure for that. It also provides a light at the end of that tunnel. Don't push Babywise aside just because of the schedule thing. It's so much more than that! Making your baby cry that long is traumatic. It depends on what "long" is to you. If 15 minutes is long, then yes, I will let Duke cry for a "long" time before I go in his room. The thing about crying it out is that once you do it enough times, your baby stops feeling the need to cry it out. He learns how to fall asleep without needing to cry at all. If you're envisioning raising a kid who cries it out all of the time for his entire life, you're envisioning something crazy. The cry it out thing hardly ever even comes into play anymore for us. With a very occasional off night, we'll have to let Duke cry. But it's definitely not the norm. 95% percent of the time, we put Duke in his crib and he smiles, laughs, and snuggles up to the bumper. He loves to sleep! I'm tired of people saying I'm not a good Christian because I don't follow Babywise! (Yes, this was actually a legit comment I read somewhere on the world wide web.) What's funny is that I didn't even know Babywise was a "Christian" thing to begin with. I didn't know I was "being a good Christian" by following a book about getting your baby to sleep through the night and form good habits. I don't think anyone thinks an anti-Babywise person is not a Christian. And vice versa. I want to be able to rock my baby to sleep if I want to. I don't like that Babywise discourages it. Babywise does discourage you from rocking your baby to sleep every night and for every nap. Notice the word "every." An occasional time of rocking your baby is not going to greatly affect their ability to fall asleep on their own - which is why Babywise suggests this principle in the first place. Not rocking your baby to sleep every single time is not only teaching your baby a skill, but it's allowing you a bit of freedom. You get to put your baby down and walk away knowing that he is happy to be in bed. To me, it's worth it. 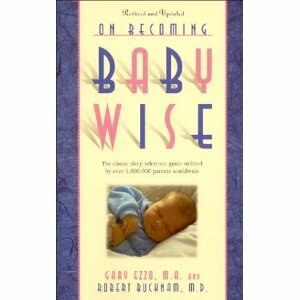 On the Christian comment, I think that association might come from the fact that Babywise originated as part of the "Growing Kids God's Way" series that Ezzo did. Babywise was what they did to adapt it for a secular audience. So I guess because of its origin it is pretty popular in Christian circles, which might be why that mom felt that way? Maybe another association comes from the value of family/parent-centered (which goes with the Christian value of teaching selflessness) verses child-centered (which Ezzo hints will lead to a self-cenetered child)? Who knows! Yeah, that totally makes sense! 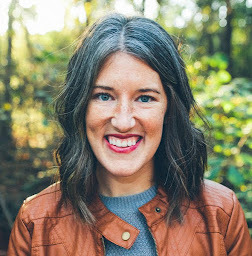 :) I just thought it was unfortunate that this person had been told she wasn't a "good Christian" because she didn't follow it! I have never read baby-wise, but it sounds pretty similar to what we did with Trae and what we are now doing with Asa. And also, thank God for CIO. Trae loves to sleep too because of it. So glad your baby loves to sleep! Really? Small world! And thanks so much for reading. I look forward to hearing your input!